As your Wealth Management Advisor, James Lovell will listen, clarify and help prioritize your goals and aspirations before developing a financial strategy designed to help you achieve your vision for the future. 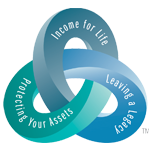 Let Jim Lovell help you ensure your financial future is all you want it to be. Jim Lovell is quoted in a Wealth Management Channel Magazine article on using an integrated retirement strategy to help ensure financial security through sound planning that is customized for a client’s needs. Click here to request a copy of the article. Jim Lovell's planning process is unique. He starts at a different plane than other advisors - above the planning horizon, focusing on helping you clarify your Mission, Vision, Values and Goals. Jim then focuses on the issues below the horizon – Strategies, Tactics and Tools. By staying above the horizon and gaining clarity around your goals, Jim can help you make wise choices about the solutions below the planning horizon. Working in the best interests of his clients is Jim's business, and he takes this role very seriously. Whether you're concerned for your own planning needs, your family or your business, Jim Lovell can help you find the right answers.